Here is the window in TriBeCa I created for Hands On, where I facilitate visual art with one and a half to three year olds. I’m so proud to share their beautiful work! Every day I am so inspired by their creative spirits and seeing the masks of my friend and mentor Ondonesa Maladaw when I come into work! 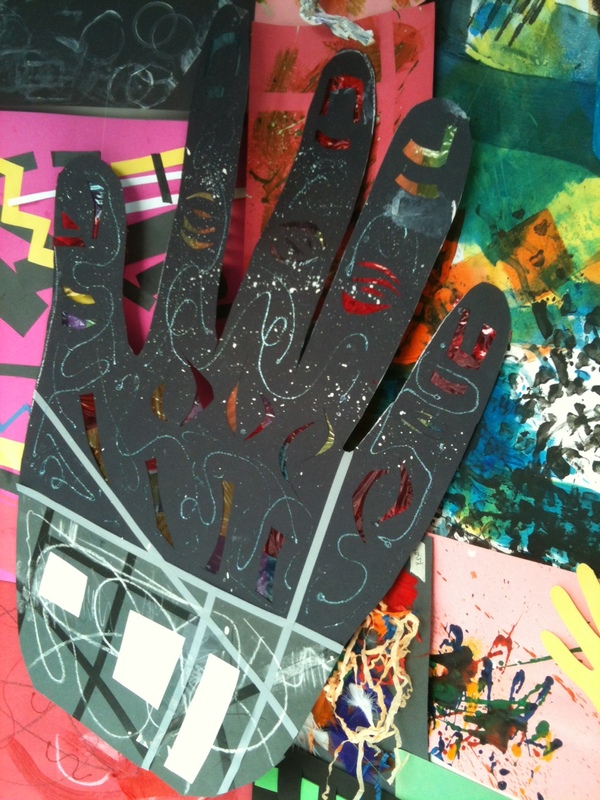 Hands we made from recycled art.